The Corvette Racing team announced its 2018 IMSA WeatherTech SportsCar Championship driver lineup this past week for its two Corvette C7.R race cars. Racing fans will be pleased to learn that the 2018 full time drivers for both the No. 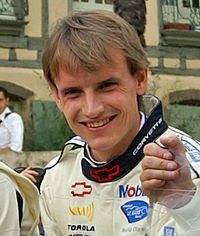 3 – Antonio Garcia and Jan Magnussen, and the No. 4 – Oliver Gavin and Tommy Milner are returning to defend and expand upon their 12 Team Championships and 12 Manufacturer Championships. Next year’s IMSA (International Motor Sports Association) WeatherTech SportsCar Championship will mark the seventh straight season with Gavin, Milner, Magnussen and Garcia as the full time drivers for the pair of Corvette race cars. 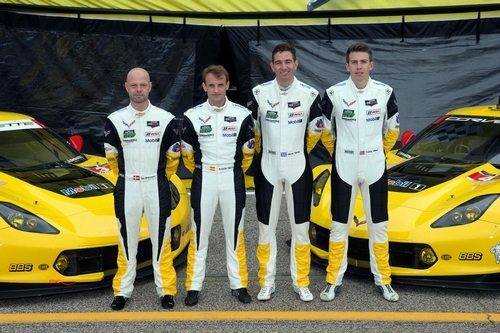 Corvette Racing drivers (from left to right) Jan Magnussen, Antonio Garcia, Oliver Gavin and Tommy Milner pilot the No. 3 and No.4 C7.R Corvette Race Cars. Since 2011, the two teams have shared a total of 106 track victories around the world. Moreover, the No. 3 Corvette driven by Garcia and Magnussen had an incredibly successful 2017 racing season, having won the Driver, Team and Manufacturer Championships in the GT Le Mans Class. The pair scored three class wins throughout the 2017 season. Gavin and Milner of the No. 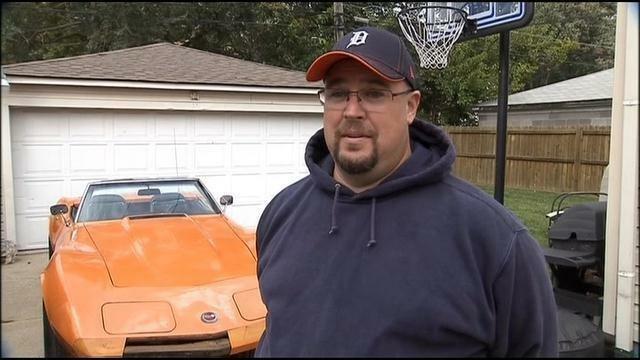 4 Corvette added a fourth victory last year. Corvette Racing’s new season begins this weekend as both teams prepare for the “Roar Before the 24” at the Daytona International Speedway. This three-day event serves as the prelude to the Rolex 24 at Daytona, the opening race event of the IMSA season. For Corvette Racing, the three-day track trial is an opportunity for the teams to begin dialing in the pair of Corvette C7.R race cars for its change to win a fourth-class victory at the twenty-four hour endurance event held annually in Daytona. 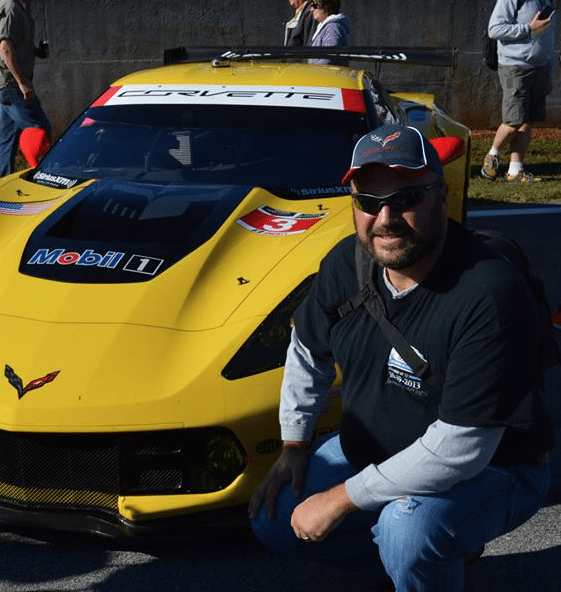 Both C7.R race cars will be present for the event along with their full compliment of three drivers each. Like last year, Mike Rockenfeller will once more be rounding out the No. 3 driving team of Antonio Garcia and Jan Magnussen, and Marcel Fässler will also be returning to join Oliver Gavin and Tommy Milner in the No. 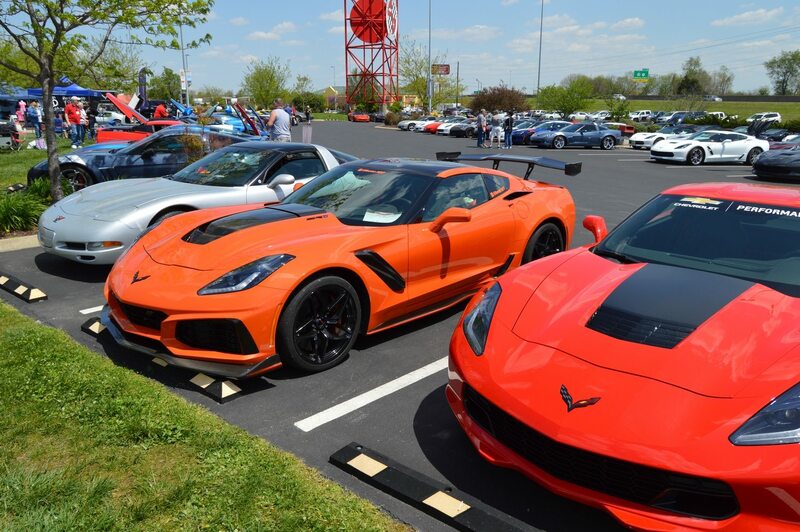 4 Corvette. The No. 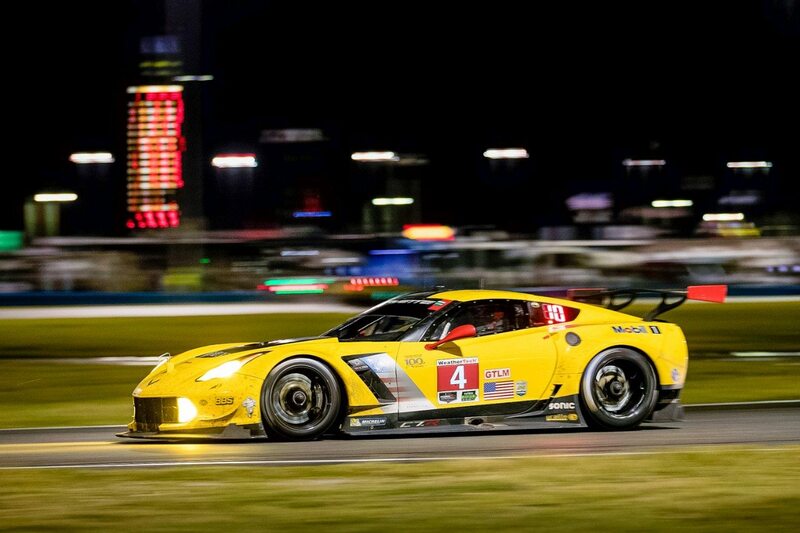 4 Corvette running night laps at the Rolex 24 at the Daytona International Speedway. 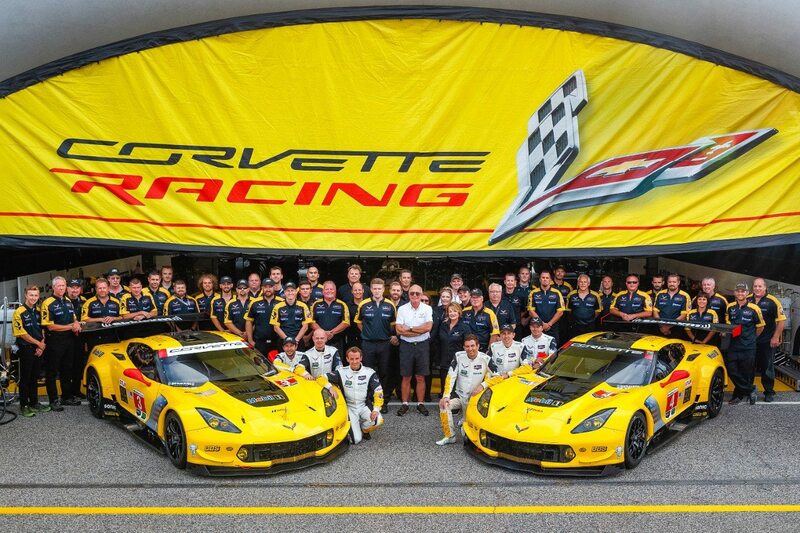 This year will mark Corvette Racing’s 20th anniversary of competition in IMSA sanctioned racing events – marking the longest run of any team in the current IMSA paddock. Of the team’s combined 106 victories, 98 of these victories were achieved in North American endurance racing events across the United States and Canada. Additionally, the team has an impressive 8 victories at Le Mans in the last 19 years, making the Corvette Racing teams one of the winning-est teams at Le Mans in the 21st century. 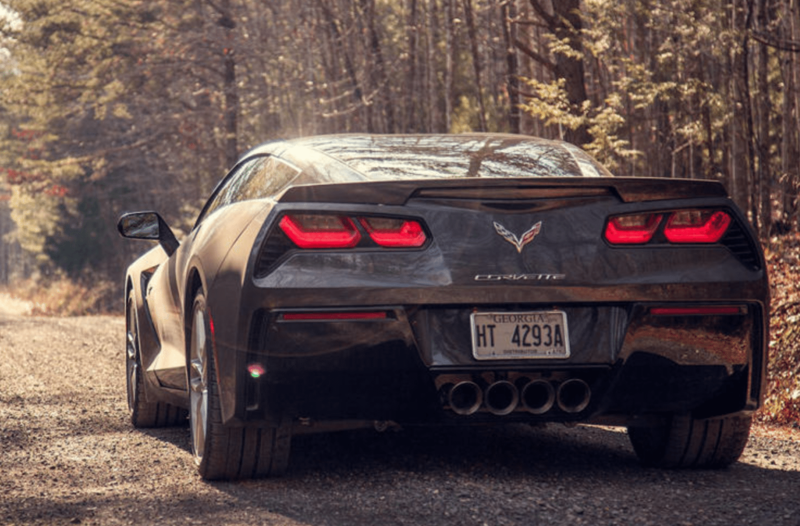 Since the start of the 2014 racing season – which saw the merger of the American Le Mans Series with Grand Am – no manufacturer or team has had more wins in the WeatherTech Championship than Chevrolet and Corvette Racing. 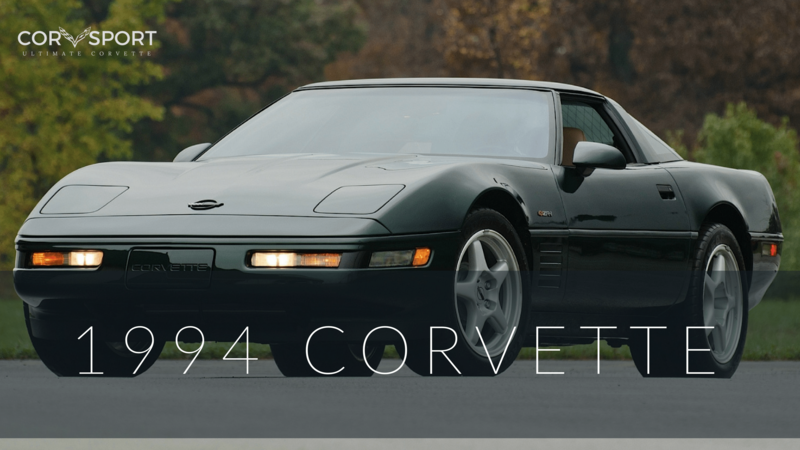 The 1999 Rolex 24 at Daytona was the first event the Corvette Racing program participated in. At that race, one of the team’s Corvette C5-R’s finished in fourth place. Just two years later, Corvette Racing won the race overall. Jump ahead to the past few years, and the Corvette Racing program added class victories at both the 2015 and 2016 Rolex 24 races, with an especially thrilling 1-2 finish in 2015 that saw the No.4 Corvette beat its No.3 counterpart by a margin of just 0.034 seconds. Overall, Chevrolet has celebrated more than 40 victories across all motorsport events at the Daytona International Speedway, making it the most successful manufacturer at the World Center of Racing. “With everything we accomplished last year, one of the disappoints we had was not winning Daytona. So we will go into the Roar with that goal in mind. We are there for three days but there is a huge amount of items we need to run through for the Rolex 24. 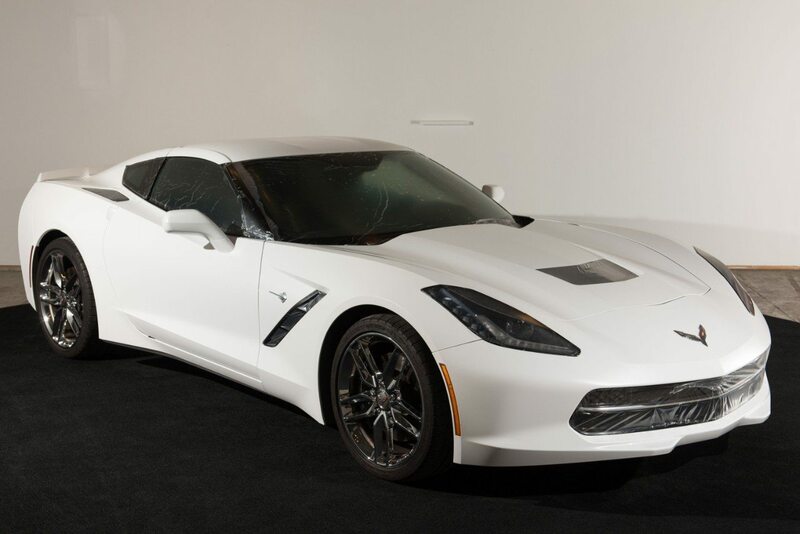 Winning there would be the best way to start Corvette Racing’s 20th year. The Rolex 24 at Daytona will be held on January 27-28, 2018 at the Daytona International Speedway in Daytona Beach, Florida.